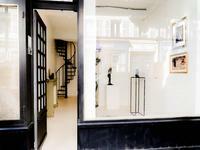 Paris 7th | 34m2 | Boutique & Studio - Well located, the boutique and apartment are located . . .
PARIS 75017 - Ternes/Champerret - 2Bed (3 rooms) | 57m2 | See 360 & Floor plan - Between . . .
12th Arr | Quinze-Vingt | Metro Ledru Rollin & Bastille | 60m2 | 2 Bedrooms | Atelier | A . . .
A superior large apartment with mezzanine on the 2nd floor (without elevator) of a beautiful . . .
75006 - Saint-Germain des Prés district - A charming Duplex of 1 Bed | 24.53m2 Carrez law, . . .
Paris 17th - Porte Maillot - 2 room | 50m2 - Located just opposite famous French beauty brand . . .
PARIS 75001 - Marais - 1Bed | 36m2 (Map + 360 VT available) - Two steps from metro Etienne . 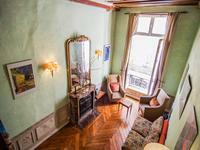 . .
Paris 75005 - Latin Quarter, an apartment loft type with 1/2 bedrooms, of 47,50m2 on the . . .
Paris 75014 - Raspail - 1 Bed | 42.48m2 | Check floor plan & 360 views - Between the Gaîté . 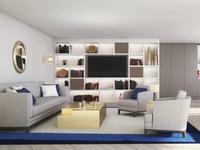 . .
Paris 75010 - Theatre Antoine - 1/2 Bed | 58.65 total weighted area (2 attics & 3 balconies) . . .
Paris 3rd - 75003 – Marais District - 1 bedroom - 40 m² - In the heart of historic Marais, . . .
Paris 4th - 75004 - Quartier Marais / Place des Vosges - Studio / 1 bedroom - 32 m² - Close . 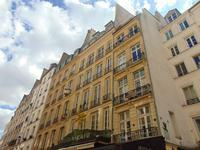 . .
Paris 6th - 75006 - District St-Germain / Odeon - Studio / 1 room - 30 m² - Close to the Quai . . . Superb 1-bedroom apartment of 35 sqm, quiet and bright, on the 4th and last floor without lift, at two minutes' walk from the Champ de Mars. Paris 7th - Ecole Militaire/ champ de Mars district - Superb apartment on 30.65 sqm Carrez / . . .
PARIS 75004 - Saint-Paul – 1 Bedroom | 45m² - Located between the Seine and Saint-Paul, . 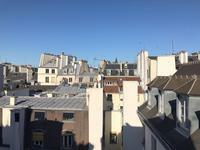 . .
Paris 75010 - AVAILABLE - Close to the City hall of the 10th arrondissement and the covered . . .
Paris 13th - Olympiades district - 2-Bedrooms - 55,40m² - Located a few minutes' walk from . . .
Paris 75004 - Occupied Life Annuity on the prestigious Ile Saint-Louis - Exceptional location . . .
Paris 15th - Saint-Lambert district - Very quiet apartment on the 2nd floor with elevator on . 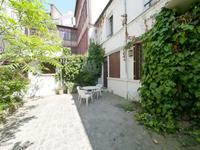 . .
Paris 10th - Saint-Louis /Aqueduc district -Courtyard apartment on the 3rd floor without . . .
75018 - Marx Dormoy - 46.58 m² (T2) - Close to Gare du Nord et Montmartre, this 1 bedroom . . .
75018 - Marx Dormoy - 47.59 m² + 2.33 m² BALCONY - Walking distance from Gare du Nord and . 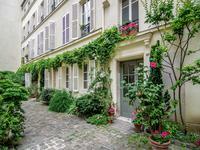 . .
Paris 75004 - Ile Saint Louis / Notre Dame - 46m2 - Ideally located in the heart of the very . . .
PARIS 18th - Jules Joffrin - 1P | 28 m² + 5 m² Winter Garden & Balcony - At the corner of the . . .
PARIS 18th - Jules Joffrin - 2P | 48 m² + 17 m² Winter Garden & Balcony - At the corner of . . .
Paris 10th - Canal Saint-Martin - République, a nice 1 bedroom apartment - 30,40m2 habitable . . .
Paris 75009 - Le Faubourg Montmartre - a 27m2 (26.34m2 square) loft-type studio, 1 bed (T1) - . . .
Paris 11th - Metro Avron/Nation - A large studio located in a building of 8 floors with . . .
Paris 75014 - Plaisance - 47m² - Situated in the sought after neighborhood between Porte . . .